Poker Points is a intellect killer poker game. 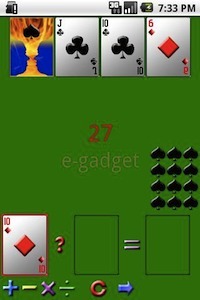 The player has to do a serial calculation so as to achieve the required point from four cards in each deal, 13 deal a round. The game has different levels.